Good news and bad news – which would you like first? Ok.. so the bad news is that these user/role/privileges can select and decrypt DBLink passwords on 11.2, as the key to decrypt the ciphertext is included in the password itself. 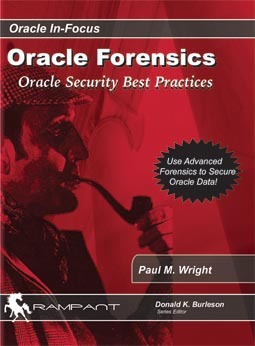 The above issue did not make my Top 10 New Oracle Security Issues which I will publish at UKOUG 2012 on Monday http://2012.ukoug.org/default.asp?p=9339&dlgact=shwprs&prs_prsid=7736&day_dayid=62. So the good news is that Oracle audit trail does now highlight incoming DBLink activity including the name of the link from the client database. This DBLINK_INFO is very useful and the attached paper expands a little on the subject of DBLink security including Forensic Response…more to come at UKOUG in Birmingham. The DBMS_CRYPTO stated above issues ‘ORA-06512: in “SYS.DBMS_CRYPTO_FFI”‘ for the longer hashes. Any idea on how to decrypt these?